The chemical treatment of tap water, which makes it suitable for human consumption, leaves toxic residues of chlorine and chloramine in the water. Minute traces of toxic metals also make tap water unsafe to reptiles and amphibians. The chemical treatment of tap water, which makes it suitable for human consumption, leaves toxic residues of chlorine and chloramine in the water. Minute traces of toxic metals also make tap water unsafe to reptiles and amphibians. 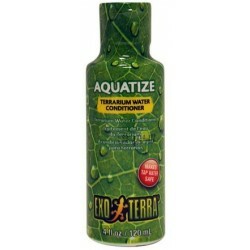 Always treat tap water with Aquatize terrarium water conditioner. 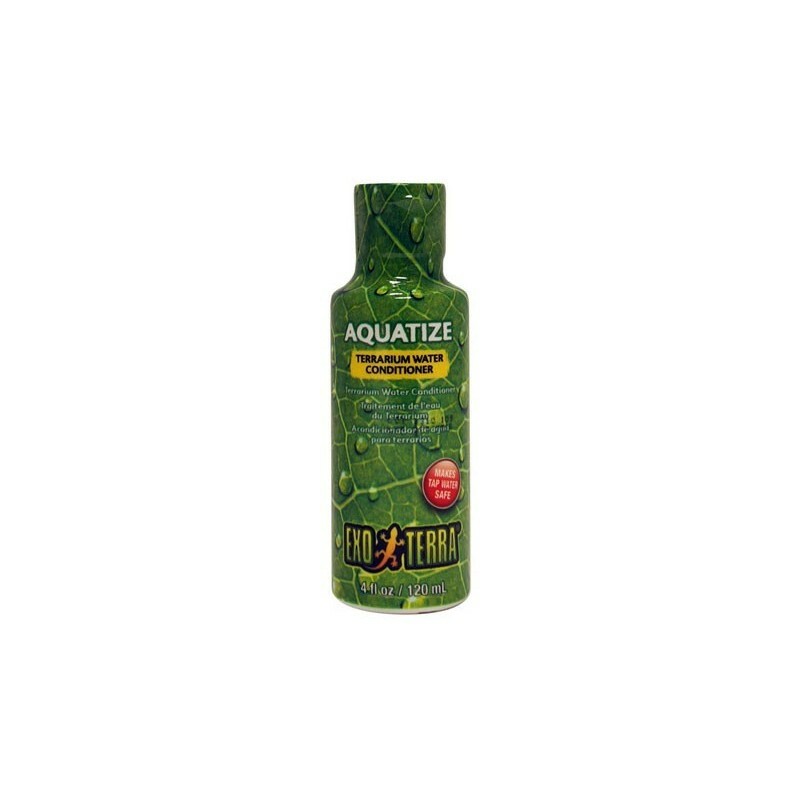 Aquatize contains plant extracts to stimulate natural slime coat development in amphibians and fish. 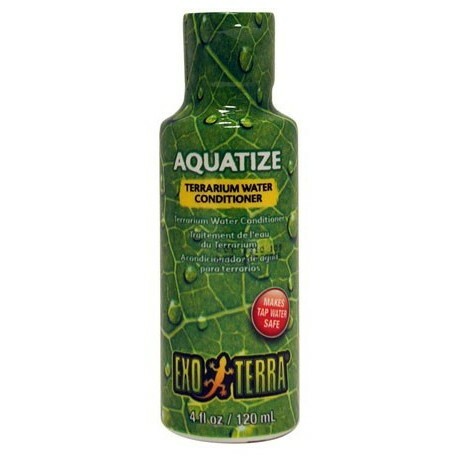 Essential oils in these extracts promote shedding in reptiles and maintain scales and skin tissue in optimal health.